As my Sixty-something parents and I entered Duluth, GA’s Infinite Energy Center, we drove down the freshly-striped Paul McCartney Blvd., a new road leading to the arena’s parking lot. My mom and dad are lifelong fans of McCartney’s contributions to the Beatles, Wings and his solo endeavors, and their musical tastes certainly rubbed off on me. Being with parents in the same venue as McCartney while he played a varied set of material (on my mom’s birthday nonetheless) was truly a magical experience for us all. As soon as McCartney took the stage and picked up his signature Höfner bass, the crowd was on their feet (side note: my mom did not sit down the entire show). Once he muttered the line “It’s been a haaaard day’s night,” the entire arena was roaring. Interestingly, McCartney had never played “A Hard Day’s Night” as a solo artist until this tour. McCartney then fast-forwarded the clocks to present day with “Save Us,” an up-tempo song off of his new album (very fittingly titled, New), which has a punk-inspired guitar riff that intertwines with a heroic chorus. Just as soon as the song ended, we hopped back in the DeLorean and headed back in time to hear “Can’t Buy Me Love” off of A Hard Day’s Night. The vibrato vocals were much more pronounced than the studio version, with every member of the audience singing along as an honorary 5th Beatle. McCartney then picked up a tastefully decorated Gibson Les Paul and proceeded to flawlessly execute the twangy riff in Wings’ “Let Me Roll It.” The all-hands-on-deck chorus had droves of audience members swaying and singing along. The end segued into a cover of Jimi Hendrix’s “Foxy Lady,” showcasing the cohesion and talent of McCartney’s band, who he has toured with for over ten years. The band consists of keyboardist Paul “Wix” Wickens, bassist / guitarist Brian Ray, guitarist Rusty Anderson, and drummer Abe Laboriel Jr., whose exuberantly passionate pounding of the kits is a sight in itself. After the band jammed through the song from Are You Experienced, McCartney earnestly dedicated the performance to the late, great Hendrix. Eyes were wide and jaws were dropped as McCartney gathered us in his living room for the first ‘Fireside Chat’ of the evening. McCartney described seeing Hendrix perform in London for the first time. 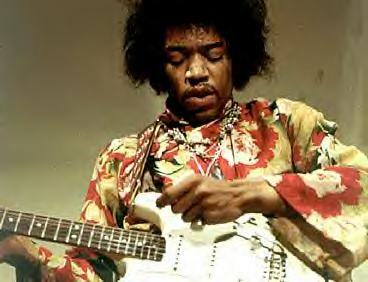 He recalled Hendrix ferociously using the tremolo on his guitar (aka, the ‘Whammy Bar’), which “in those days would send your guitar wildly out of tune.” Hendrix then looked out in the audience for some tuning assistance and asked “Is Eric here?” Eric must be a roadie, you ask? Nope. Of course he was referring to Eric Clapton because it turns out Slowhand himself was also in the audience that night. So, let’s recap: somewhere in London in the Sixties, Jimi Hendrix asked if Eric Clapton could tune his guitar, with Paul McCartney in the audience taking it all in and laughing along. The concert could have ended after this story and we could have left fully satisfied. Sir Paul has a way of taking a basic two-chord structure and layering on a superb lyric that ultimately grabs you and refuses to let go. As the band played “I’ve Got a Feeling” from Let It Be, the audience was in the palm of McCartney’s hand. In between songs, McCartney was as spry and charming as ever and would modestly welcome applause while acknowledging every corner of the arena. At one point, he said he needed a moment to stop and “drink it in.” Although he has been playing for packed houses for roughly 50 years now, McCartney recognizes that his music is way bigger than him and that it means so much to soooo many. He sincerely pours his heart into his shows to make the experience magical for fans that have traveled near and far, spending their hard-earned money. Some of McCartney’s Sixties and Seventies counterparts could learn a thing or two from him when it comes to audience appreciation. McCartney is every bit as sensitive as he is entertaining. As he sat down at the piano to dedicate the song “My Valentine” to his wife Nancy, who was in the audience, you could almost hear the audience “Awwwww” in unison. It was a treat for Wings fans to hear “Nineteen Hundred and Eighty-Five,” and equally astounding to see how seamlessly McCartney can transition from playing bass and guitar to complex piano parts. McCartney is a musical renaissance man. As if there weren’t enough teary-eyes in the Infinite Energy Center, he then dedicated “Maybe I’m Amazed” to his former wife and Wings band-mate Linda who died tragically of breast cancer in 1998. McCartney has stated that he finds this song the most difficult to perform live in his older years due to the strain it can put on his voice; however, maybe I’m amazed at the way Macca did not fall flat on any note and continues to display wide-ranging vocal adaptability (had to do it, sorry). There was truly a connection between the audience and Paul during the entire show, despite his mammoth musical accomplishments and godlike celebrity status. It almost felt like Sir Paul was the humble king who welcomed all of the townspeople to dinner at the castle for the evening. Dozens of adoring fans brought signs to the show (which has become a staple for his concerts), and being the reverent performer he is, he will actually acknowledge some of them. As American politicians continue to clash as a result of polarizing viewpoints, McCartney very appropriately affirmed that middle ground does exist during the Beatles number, “We Can Work It Out.” The acoustic version showcased the tune into its most pure form, highlighting one of the strongest hooks ever written. Beatles history buffs were delighted when McCartney performed The Quarrymen song “In Spite of All Danger,” especially when he divulged that he, Lennon and Harrison recorded the tune in 1958 for a mere five pounds. He then revealed the “musical phrase” that inspired “You Won’t See Me” from Rubber Soul, which morphed from an acoustic guitar part. It was as if we were hanging out behind the curtain with a magician who was revealing all of his tricks. The harmonica part from “Love Me Do” ignited a chorus of age-spanning fans singing harmoniously, which powerfully echoed throughout the arena. McCartney dedicated the song to the legendary George Martin: “Without George there wouldn’t be any Beatles records.” McCartney stated that the line “Love Me Do” was first sung by Lennon, but Martin had requested that McCartney sing it when they recorded in London, so that John could enter with the harmonica on the bar. For that reason, McCartney claims he can “still hear the nervousness in his voice” on the original recording. Love continued to be in the arena air during the acoustic version of “And I Love Her,” another timeless Beatles classic that featured bongos and clavs. At this point, the rest of the band took a break and McCartney ascended as the center stage rose during “Blackbird.” He told the crowd that the song was written during the Civil Rights movement, and it was intended to inspire the oppressed African American community to rise above and “fly into the light of a dark black night.” Emotions were high during this solo portion of the set, and Macca continued to wear his heart on his sleeve in dedicating “Here Today” to John Lennon. “Sometimes you want to say something really nice and you think ‘I will do it tomorrow or I will do it next week.’ And suddenly it’s too late. I wrote this next song after my old mate John passed away. Let’s hear it for John.” After the roars of applause subsided, Paul said the song was “a form of a conversation that we never got to have.” The heartfelt lyrics demonstrate his love for his former bandmate, despite any tension that may have existed in the final years of the Beatles. It was a delight to hear the playfully psychedelic “The Fool On The Hill” from Magical Mystery Tour, with his iconic colored piano at center stage. McCartney proves he represents the everyman (and woman) during “Lady Madonna” by paying homage to the hardworking women of the world, while images of mothers with their children flashed on the screens behind the stage. “We’ve played you our oldest song, now we’d like to play you are most recent song,” which was an acoustic cover of last year’s collaboration with Rihanna and Kanye West, “FourFiveSeconds”. This was definitely a more palatable version of the song as compared to the studio cut, and this section of the set appeased some of the younger millennials in attendance that may have been less familiar with the broad range of McCartney’s catalogue. One thing that set the Beatles apart in their heyday was the fact that they did not always write happy-go-lucky love songs, as is evident in “Eleanor Rigby”. The live version of the somber tale of a woman’s lonesome earthly existence shows that McCartney was never afraid to get real and touch on icky, non-mainstream topics in pop songs. “Being for the Benefit of Mr. Kite!” was on Sgt. Pepper’s Lonely Hearts Club Band (1967) was a carnival-themed live journey that was complemented by a Technicolor Dreamcoat of background displays and lights. When McCartney busted out the ukelele for “Something” (is there anything this man can’t do? ), he yet again pulled us aside and told us about the time he learned to play the tune at George Harrison’s place. If you were in attendance and didn’t feel some sort of electricity as the crowd sang “You’re asking me will my love grow? I don’t know, I don’t know…”, I honestly feel sorry for you. McCartney “thanked George for writing that beautiful song” and, in one of many high moments of the night, the song transitioned to incorporate the full band about halfway through while photos of Harrison shuffled in the background. Crowd participation was at an all-time high as the keyboard intro bounced along during “Ob-La-Di, Ob-La-Da,” with the Infinite Energy Center almost shaking during the lively chorus. The pace was set and continued as the band dashed through the three-part medley of “Band On The Run” with a vengeance, with the entire band in full swing. The engine noises meant we were headed back to the U.S.S.R.: “You don’t know how lucky you are, boy!” Uncle McCartney then told a charming tale about running into some members of the Russian government back in the day while playing the Red Square in Moscow (not to mention he put on an impressive Russian accent in imitating the man who informed him that he ‘learned to speak English from listening to Beatles records’). Music is the unifying force of the planet, and during “Let It Be” the arena was a true unit sewn together by the song. We did not pay mind to different political ideologies, ages, creeds, or religious beliefs; we were all just in the moment and could all get along for those brief few minutes. Music’s transcending power is why it is special to us all. The set ended with a knockout one-two punch, “Live and Let Die” followed by “Hey Jude.” “Live and Let Die” is the quintessential power ballad, the elegant piano arrangement and vocals are literally blasted into orbit by a messy yet contained arrangement. And, oh boy, is it a spectacle live. The pyrotechnics literally brought the heat to the faces of the audience and the light show aligned perfectly with the ebbs and flows of the tune. What can you even say about “Hey Jude”? Every music fan should experience the “Na Na Na Na, Hey Jude” moment at least once in their lives. The cell phone lighters (aka iPhone flashlights) filled the air with an accompanying mix of cheers and whistles as McCartney and his band fervently returned to the stage waving the American, Georgian, British, and Gay Pride flag. McCartney is a man of the people and surely must feel a sense of pride as this country has been a pivotal part of his career, starting on Ed Sullivan back in ’64. He is a true entertainer who appreciates his broad audience and gives them all the show they deserve every night. McCartney always makes a point to bring fans with signs on stage to live out their Macca fantasy, and he actually had a family of four dressed in Sgt. Peppers regalia as well as a teenage girl who had a sign that read, ‘Help me tell my family I am gay.’ Again, a man of the people. The spotlight was solely on him for his acoustic masterpiece, “Yesterday” (also one of the most covered songs of all time), which still pulls at the heartstrings in the same way it did upon first listen (especially when more than 12,000 people are joining you). “They say it’s your birthday! It’s my birthday too, yeah!”; when the opening riff to “Birthday” ripped through the speakers I can confidently say my mom (a self-confessed MaccaManiac) hit her apex of excitement of the show. I mean, he had to have played this just for her birthday, right..? As ridiculous as that sounds, it really did not seem that far off and is a testament to his welcoming, next-door neighbor demeanor. Regardless, as the story will be told years from now, Margaret Stewart was wished a happy birthday via song by her pal Paul McCartney. That’s how the Stewarts will remember it (thanks Paul!). The set closed with three songs that consequently are also on the latter half of Abbey Road, which were played in the album’s sequential order: the piano-centric “Golden Slumbers”, followed by the inspirational “Carry That Weight”, and finally putting a bow on it all with the poignant “The End”. McCartney alternated guitar licks with the wildly talented Ray and Anderson during the final song of the night, proving he is as versatile of a guitarist as he is a bassist. “In the end, the love you take is equal to the love you make”; these words seemed to resonate just as equally with the former Sixties flower child as it did with the Snapchat-obsessed, twenty-something in the crowd. The tour is dubbed “One on One” and it is surely that. This was actually the third show I was able to catch on this tour, but by far and away most special as it was with my parents. I first saw McCartney back in 2005 when they took me to see him and sprung at the opportunity to see him while abroad in London in 2010 (my dad once saw Wings two nights in a row in Atlanta in 1975). Yeah, I guess you could say it runs in the family. Macca made us feel welcome while we enjoyed an unpretentious concert experience complete with charisma and delightful anecdotes. McCartney’s music means the world to so many people, and it was quite touching to other families in the audience with the same mesmerized smiles. At this point in his career, McCartney could certainly opt to sit on a beach and collect fat checks somewhere in the South of France, but at 75 he still chooses to tour and bring out spine-tingling moments of bliss to a crowd that ranges from 9 – 99. He made a musical memory for me and my parents that we will never forget. And for that, Uncle Paul, we are very thankful. Cheers.